I have been playing at the Cue Note since they opened. I guess it's been a couple years now. IMHO this place is a real credit to the industry. Anyway, I thought I would mention them here. Great room, 14 Brunswick Gold Crown 5 tables with Simonis 860 Cloth, excellent table lighting, and Aramith Tournament balls. For many that would be enough said. The place is a pool hall with a bar and food. They have BCA league, Ladies Night, a free kids day, and lots of other stuff going on. No Smoking (I don't care but that seems important to some). There is seating outside, away from the door, for those that want to sit and have a smoke. Yesterday they had live Jazz with Linda Cole. http://www.lindacolesings.com/ Very cool. They also served a special brunch menu. 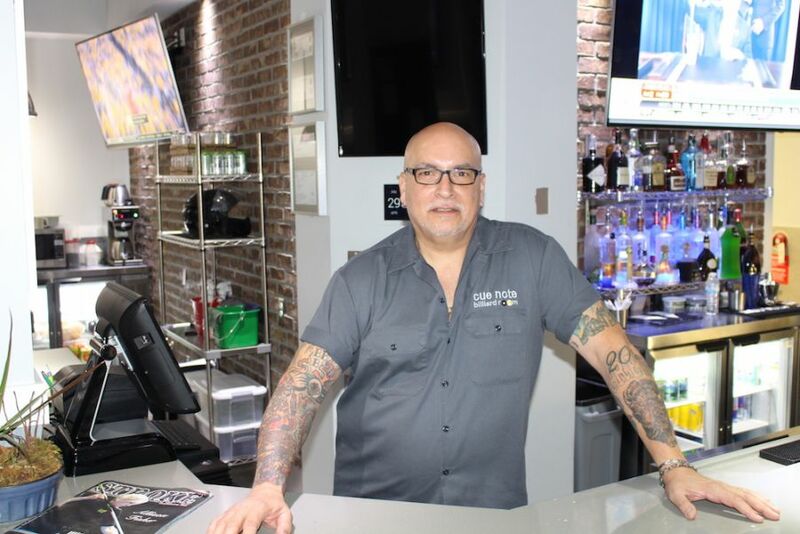 Food and drink service got a little slow because because they were busy but I was there to play pool so I was very understanding. The Jazz crowd didn't seem put off either. Funny how a nice atmosphere and good music can temper something like slow service. Normally service is not a problem, I want to make that clear. Ladies: From what I hear, apparently the Ladies room at the Cue Note is something to behold. I can say that the men's room is nothing to sneeze at. Very nice, clean, modern, done in real tiles and marbles. AND....I found out yesterday they are expanding into the next two units and adding a stage and bigger kitchen. Full club. Yesterday now the Jazz group was in a corner of the pool hall where they have a grand piano and a small dining area. The music was great, the vocals great, and it was a helluva nice change from a juke box. The place is decorated with your typical pool and billiard art. It's mostly just pool tables through the main part of the hall, no pretense of much else. The only (minor) criticism is that all the chairs and tables are steel. This bugs me personally because it makes for a lot of hard edges to watch out for and be careful around with your cue. Augie this is Doc. Thanks for taking care of me and my friends. You are doing a great job and I look forward to many more good times at Cue Note. Last edited by Chopdoc; 01-23-2017 at 01:15 PM. Any recommendations for the Fort Lauderdale area? Sorry, I don't know that area. That's a few hours South of me. Maybe ask in the main forum? You can try the Billiard Club on state rd 84. Damn! 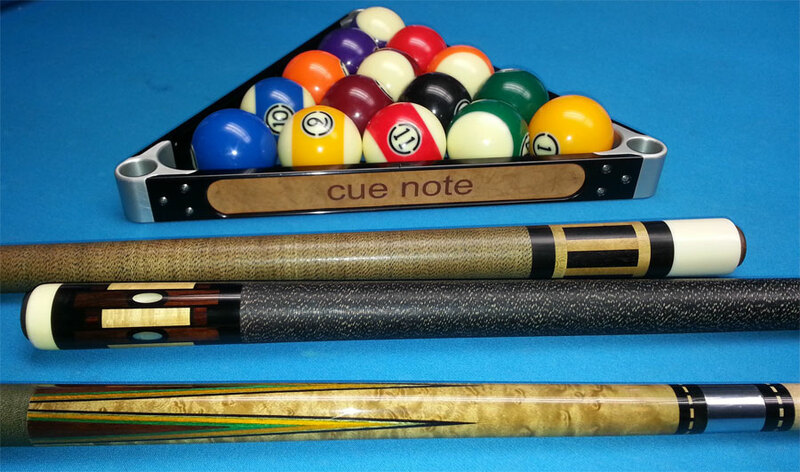 Cue Note looks nice. If I ever get down that way I am going to try and check it out. FYI- just showed up to play my buddy and all 14 tables have brand new blue Simonis. Very nice! Last edited by Chopdoc; 09-03-2017 at 01:06 PM. It IS a nice room. I went there once when they first opened. Drop pockets that were buckets turned me off. Have they tightened up any of the tables? No. But they are well maintained tables. I enjoy it. Can't afford the time to travel farther.